Built in the cloud for automation, security, and performance. 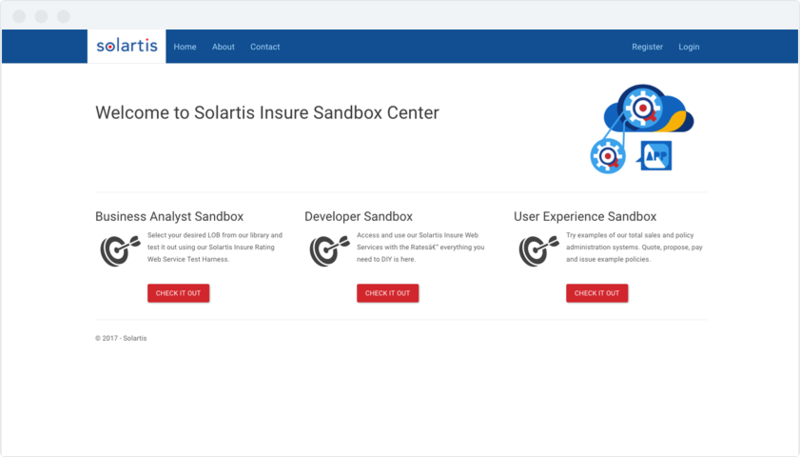 Solartis Insure Platform is built using microservices, private and public APIs, DevOps, and agile methodologies. Cloud-native applications are designed to take full advantage of every service including automated testing, deployment, and change control — and we guarantee performance with up-time and issue response time service-level agreements. Our centralized, interoperable services are more secure, flexible and reliable than on-premises infrastructure or a public cloud solution. With Solartis Insure, pay only for your usage with a variable versus fixed or capital cost. Each microservice can be accessed, monitored, and managed from its own cloud-based ecosystem, allowing you to include only the services necessary for a given product. This flexibility results in fewer dependencies, reduced service costs, leaner products, and faster launches. Dedicated, single-tenant Solartis infrastructure means better control over hardware and software maintenance and updates than with a public cloud provider. Our customized configuration for computing, storage and networking is designed specifically to support the Solartis Platform Microservices architecture. Our security, redundancy, backup and disaster recovery protocols provide you with the peace of mind you need. Solartis offer 24/7, 365-day traffic monitoring, threat detection and DDoS mitigation services. Every transaction is monitored to catch any system exceptions for optimal performance and user experience. Get additional peace of mind with daily transaction reports from our production monitoring team. Get access to Solartis’s modern policy administration system to learn how our microservices architecture can impact your business.